September is a month of remembrance. We are called to remember those who lost their lives on September 11th. To remember those in the military who endure time away from their family and friends and who have given their lives to defend our freedom. To remember those who anticipate the phone calls and letters from their loved ones who are far away, and remember those who will never see their loved one again. And as you read The Meaning of the Flag Draped Coffin, remember to pray for them all. Our founding fathers used God’s word and teachings to establish our great nation. We should be proud to live in this country and even more proud of those who serve and protect our “God given” rights and freedoms. It is important that we all understand the meaning of the flag draped coffin in order to better honor the many widows and widowers who have received this flag. 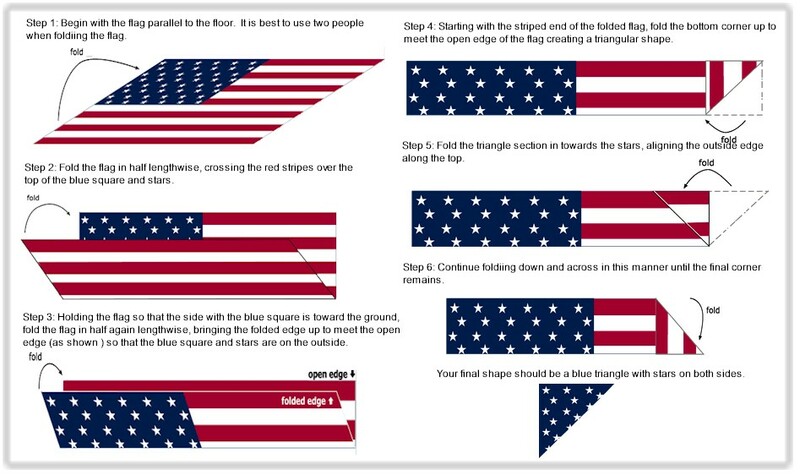 Have you ever noticed the honor guard pays meticulous attention to correctly fold the United States flag 13 times? Did you think it was a symbol of the 13 colonies? Well, it’s not! The second fold of the flag is a symbol of belief in eternal life. The third fold of the flag is made in honor and remembrance of the veterans’ departing the ranks who gave a portion of their lives for the defense of the country to attain peace throughout the world. 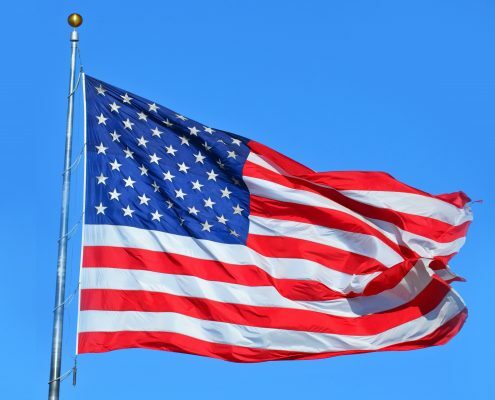 The fourth fold of the flag represents the weaker nature, for as American citizens trusting in God, it is to Him we turn in times of peace as well as in time of war for His divine guidance. The fifth fold is a tribute to our country for in the words of Stephen Decatur “Our Country, in dealing with other countries, may she always be right; but it is still our country, right or wrong”. The sixth fold is for where people’s hears lie. It is with the heart that they pledge allegiance to the flag of the United States of America, and to the Republic for which it stands, one nation under God, indivisible, with Liberty and Justice for all. 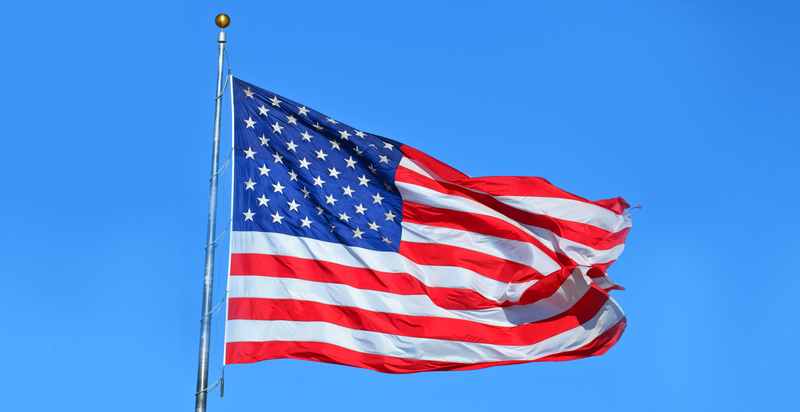 The seventh fold of the flag is a tribute to its Armed Forces, for it is through the Armed Forces that they protect their country and their flag against all her enemies. The ninth fold of the flag is a tribute to womanhood and mothers. For it has been seen through their faith, their love, loyalty and devotion that the character of the men and women who have made this country great has been molded. The tenth fold is a tribute to the father, for he too, has given his sons and daughters for the defense of their country since they were first born. The eleventh fold of the flag represents the lower portion of the seal of King David and King Solomon and glorifies in the Hebrew eyes, the God of Abraham, Isaac and Jacob. The twelfth fold represents an emblem of eternity and glorifies, in the Christian eyes, God the Father, the Son and the Holy Spirit. The thirteenth fold, the stars are upper most reminding us of our Nations motto, “In God We Trust”. Finally, after the flag is folded and tucked in, it takes on the appearance of a cocked hat, reminding us of the soldiers who served under General George Washington, and the Sailors and Marines who served under Captain John Paul Jones, who were followed by their comrades and shipmates in the Armed Forces of the United States, preserving for them the rights, privileges and freedoms we enjoy today. Belhaven University has been named in the top 10% of military friendly schools. We offer a 20% tuition discount, and veterans can use Chapter 33 and other veterans’ benefits at Belhaven. Belhaven University is here to not only educate our military community but to honor and serve them as well. We thank you for your service to the United States of America.